Third Street Bridge: Gowanus | Error Ink. A crushed, blue plastic barrel floats underneath the Third Street Bridge in Gowanus as a Ferrara Brothers ten-wheeler truck hauling industrial materials to their concrete plant drives across the steel grates of the drawbridge. View from the Third Street Bridge. The Third Street Bridge, one of five that connect the neighborhoods of Brooklyn’s community district six, crosses a canal that runs past former oil refineries and chemical plants, people fish, boat and bird watch on its elevated expanse. “People do use the bridges for fishing. I don’t think it is a good idea to be eating the fish, but I’m not going to stop them,” said Rachael Dubin, Policy and Planning Manager for the Southwest Brooklyn Industrial Development Corporation. 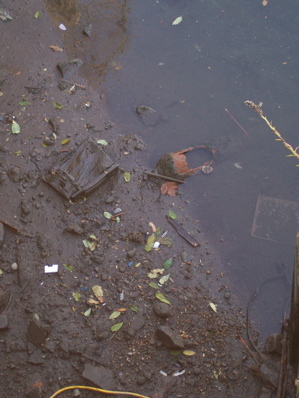 The banks of the Gowanus Canal. 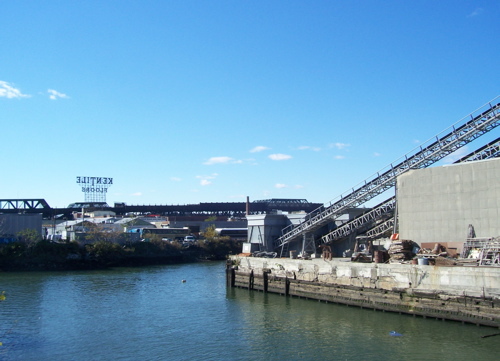 When the city reactivated the Gowanus Flushing Tunnel and Pump Station in 1999 after 40 years of inactivity, the stagnant canal experienced a rebirth, which led to renewed use of the waterway. “The canal did bubble and stink to high heavens, but once they turned the pumps back on I started to see fish, crabs and jellyfish,” said Peter Reich, who lives and works on Nevins Street along the canal. Though the canal looks, and smells, far better than it did prior to 1999, the view from the Third Street Bridge reveals the canal’s continued shortcomings. Weeds attempt to survive in the barren parking lots of factories littered with garbage and air filled with the scent of industry. 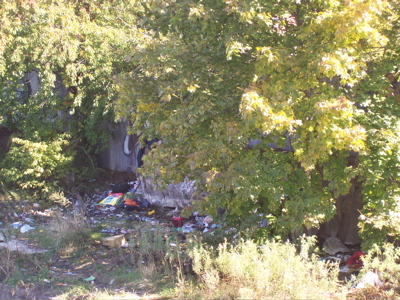 Along the canal, next to the Third Street Bridge. On a typical weekday afternoon, pedestrians on the bridge come to cross the canal and continue on to their destination, not relax to the sound of dump trucks passing, horns blaring and the hum of industrial machinery. Despite renewed interest in the canal, embodied by the Gowanus Dredgers Canoe Club, an organization dedicated to providing waterfront access and education to the public that sponsors boating tours of the canal, Dubin warns of possible problems with multiple uses of the canal. As for now, the Third Street bridge continues to welcome more cement and dump trucks than bird watchers and fisherman, but hope remains for the latter. Yes fishing happens here. Oftern the fish caught are used as bate fish for surf casting elseware.